But proposals to erect a new phone mast in the picturesque north-east village made famous by Local Hero have nonetheless caused consternation among locals. As part of a £25 million Scottish Government scheme aimed at improving signals that are often patchy or non-existent, a 26ft telecommunications tower could be installed. 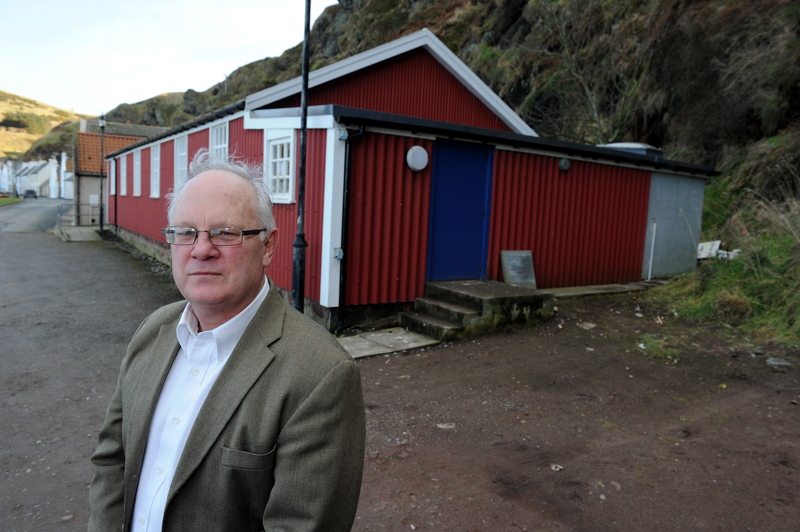 WHP Telecoms has submitted plans to build the structure next to Pennan Community Hall, but the potential site has not received the backing of the community council. Bill Pitt, chairman of the New Aberdour, Tyrie and Pennan community council, sees the merit in boosting the village’s 4G mobile coverage. But he believes the proposed setting for the mast if far from ideal and that means the group cannot support the venture. Mr Pitt said: “Mobile signal is a problem for the whole area and having a mobile mast would be good for Pennan and the surrounding area. Pennan Community Councillor Bill Pitt outside the village hall. Shona Stephen, who runs the Coastal Cuppie coffee shack near the village’s harbour, said some of the tranquility of the community might be lost. But she added her teenage daughter would be pleased if the signal improves. Miss Stephen said: “Pennan is such a beautiful peaceful place. “It is a little piece of heaven under the cliffs where you can relax, breathe and leave behind the rest of the world and its demands at the top of the hill. “I love meeting people from all over the world down at the harbour in Pennan. “It’s great to chat and I don’t know if people will be so willing to interact if they have their mobiles. 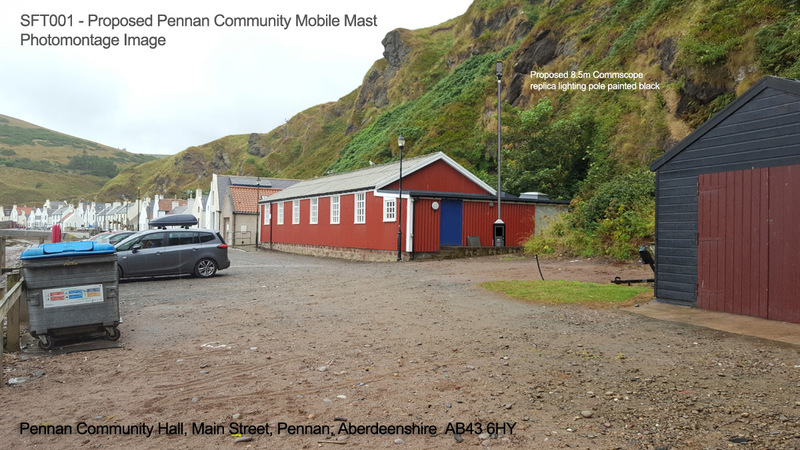 The proposed mobile phone mast at Pennan Community Hall. It doubled for a fictional West Coast fishing village and its very much last century means of telecommunications – an iconic red phone box, now a listed structure – played a starring role. The box featured in a key sequence as a drunken Mac (Peter Riegert) calls his boss in Texas (Burt Lancaster) to report the beauty of the aurora borealis in the night sky. Hundreds of people from around the world pay a visit to Pennan each year to take photographs of the red phone box and the local inn. A Scottish Government spokesperson said: “We are committed to improving mobile coverage, which is why we are investing up to £25 million in the Scottish 4G Infill Programme.